Movie Review: Book Club ~ Now on DVD and Blu-ray! As I write this, we're heading into a wondrous holiday weekend! Let's celebrate the Labor Day holiday by entering some giveaways! Visit this page every day all week to see what new giveaways have been added. Be sure to check out my right sidebar, too, because I'm giving away lots of gift cards! And if you're hosting any great giveaways, feel free to share them in the linky below. Please share this page on your social media pages, too. Have a great week! Hailed as “pure comedy gold” (Andrew Freund, Dish Nation-FOX TV) and “fifty shades of great” (Pete Hammond, Deadline), the delightfully entertaining BOOK CLUB debuts on Digital August 14, 2018 and on Blu-ray Combo Pack and DVD August 28 from Paramount Home Media Distribution. Starring legendary actresses Diane Keaton, Jane Fonda, Candice Bergen and Mary Steenburgen, BOOK CLUB follows four lifelong friends whose lives are turned upside down to hilarious ends when their book club attempts to shake things up by tackling the infamous "Fifty Shades of Grey." From discovering new romance to rekindling old flames, they inspire each other to make their next chapter the best chapter. The film also stars Andy Garcia, Don Johnson, Craig T. Nelson, Richard Dreyfuss and Ed Begley Jr. I absolutely loved Book Club! All four of the main female characters were so interesting and faced realistic obstacles that often come with being a "certain age." Diane's (Diane Keaton) grown kids were babying her and trying to control her life. Vivian (Jane Fonda), who never settled down, was starting to realize that she might have missed out due to her fear of commitment. Sharon (Candice Bergen) is having trouble moving on after a divorce, especially when her ex gets engaged to a much younger woman. And Carol (Mary Steenburgen) is trying to find common ground with her husband now that the kids have grown and left the nest. Most of all, this movie was funny! The dialogue was witty, and these four ladies had great chemistry together. I highly recommend this film! Disclosure: I received a complimentary copy of this film to facilitate my honest review. This post contains my Amazon affiliate link, and I will receive a small commission on purchases made through this link. Good News! 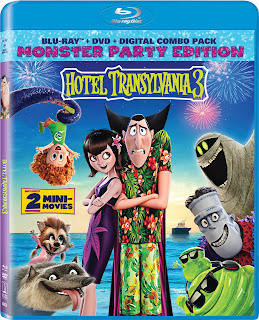 Hotel Transylvania 3 Is Coming on Digital September 25 and on 4K, Blu-ray, and DVD on October 9! 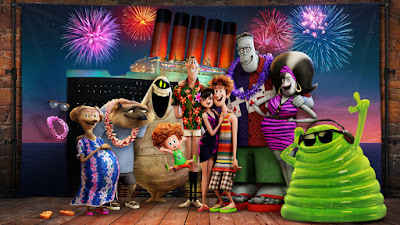 I loved the first two Hotel Transylvania movies, so I was really excited to see that Hotel Transylvania 3 will soon be available on Digital, Blu-ray and DVD! With so many of my favorite comedians voicing the characters, it's sure to be a hilarious and fun adventure! 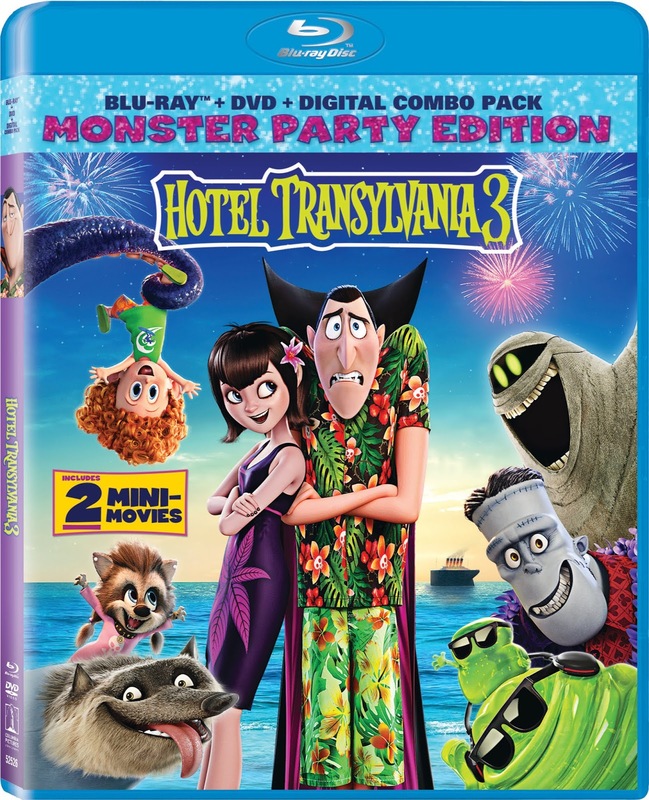 The Drac Pack is back with HOTEL TRANSYLVANIA 3, which will make its debut on Digital HD September 25, and on Blu-ray™ Combo Pack and DVD on October 9, just in time to for a spooky, fun, family movie night right before Halloween! This must-own family comedy, which has grossed more than $425 million in theaters worldwide to date, follows in the tradition of the blockbuster Hotel Transylvania franchise when Mavis surprises Dracula with a family voyage on a luxury, haunted monster cruise ship. Of course, the rest of the Drac Pack has to tag along, and that’s when things get a little …batty. The monsters are having a great time, indulging in all of the shipboard fun the cruise has to offer, from monster volleyball to colossus-sized buffets and exotic excursions, but then the unexpected happens when Drac falls for the ship’s mysterious (and dangerous) human captain Ericka. The third film in this family-friendly monster franchise is the best reviewed installment and you’re invited along on the haunted cruise vacation! Stay tuned for my upcoming review of Hotel Transylvania 3! Disclosure: I will receive a complimentary copy of this movie to facilitate an upcoming review. Welcome to the Wondrous Weekly Giveaway Linky -- the last one for the month of August! I love summer, but I also love the fall, with cooler weather and lots of pumpkin-flavored foods! Let's celebrate a new season by entering some giveaways! Check out the giveaways in the linky below and on my right sidebar. Come back every day to see what new contests have been added. And be sure to share any giveaways that you're hosting in the linky and tell your social media friends about this page. Good luck! My two youngest boys (twins) started high school this week. Call me corny, but it seems like yesterday when I was shocked to hear I was expecting twins, and suddenly they are almost all grown up! Needless to say, after all these years, and with two older sons, I’ve had a lot of back-to-school preparations to make. I’ve made plenty of mistakes and learned from them, so I’m passing on these words of wisdom with the hope of making your back-to-school activities a little less stressful for you and your family. 1) If possible, go to the orientation or meet-the-teacher program. If your school offers a program like this, you’ll benefit in two ways. First, it will relieve your child’s first-day jitters if he’s already met his teacher and knows where his classroom is, as well as who will be in his class. 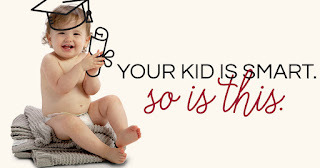 Second, it helps you as a parent to initiate a relationship with your child’s teacher. It shows that you’re interested in your child’s education and will be a partner with the teacher in educating your child. 2) Hold off on some of the school supplies. I can’t tell you how many times we’ve been handed a school-supply list at the end of the school year for the following year, and then found out that half of what we bought wasn’t required by their new teachers. Of course, you should invest in paper, notebooks, pencils and other basics, but for more specific items, wait until your child’s teachers send home their supply list in the fall. Usually, they don’t expect you to have the supplies on the first day of class, which gives you a few days to track down exactly what they want. 3) Hold off on the locker for your middle- and high-school student. Several years, my kids paid for lockers and then never had time to use them between classes, so we wasted our money. However, if your child does have time to use her locker, then go ahead and purchase one because it will greatly relieve the amount of weight she has to carry around in her backpack due to multiple textbooks and notebooks. 4) Speaking of backpacks… spend a little more money and buy the strongest one you can find. Cheap backpacks rip and fall apart quickly, and you’ll find yourself replacing them often throughout the year. Spend a little more to get a high-quality backpack that’s designed to withstand heavy use, and you’ll be able to use it for years. It will save you a lot of money in the end. 5) Plan for the future. It’s never too early to think about your child’s next school. There are so many different programs available these days, and you want to be sure that your child has done what’s needed to get into the school you select. In fact, you might even want to start thinking as far ahead as college! 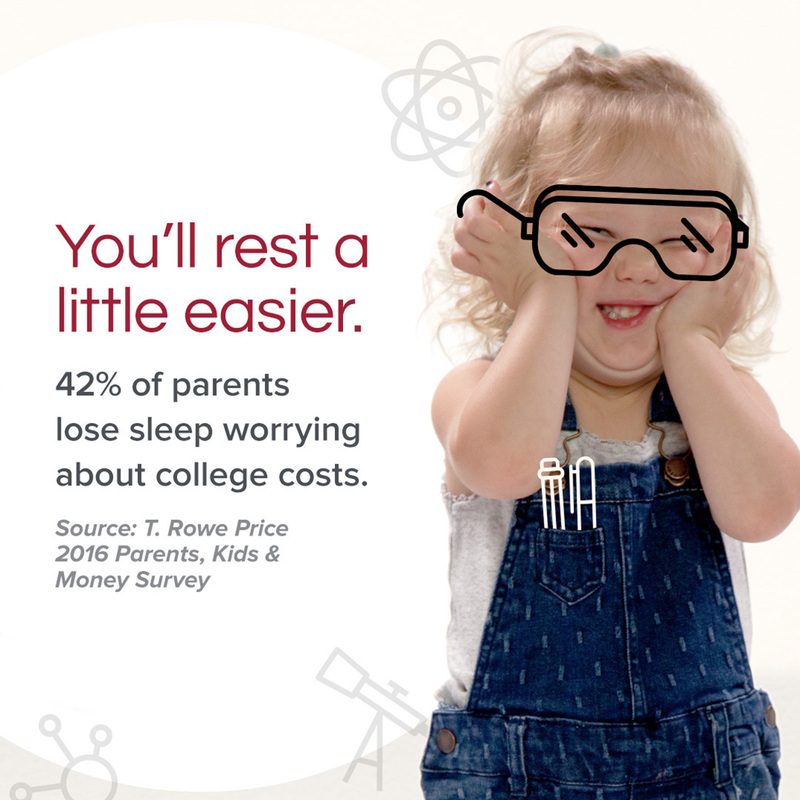 Many parents think they have plenty of time until their child goes to college, but time passes quickly. 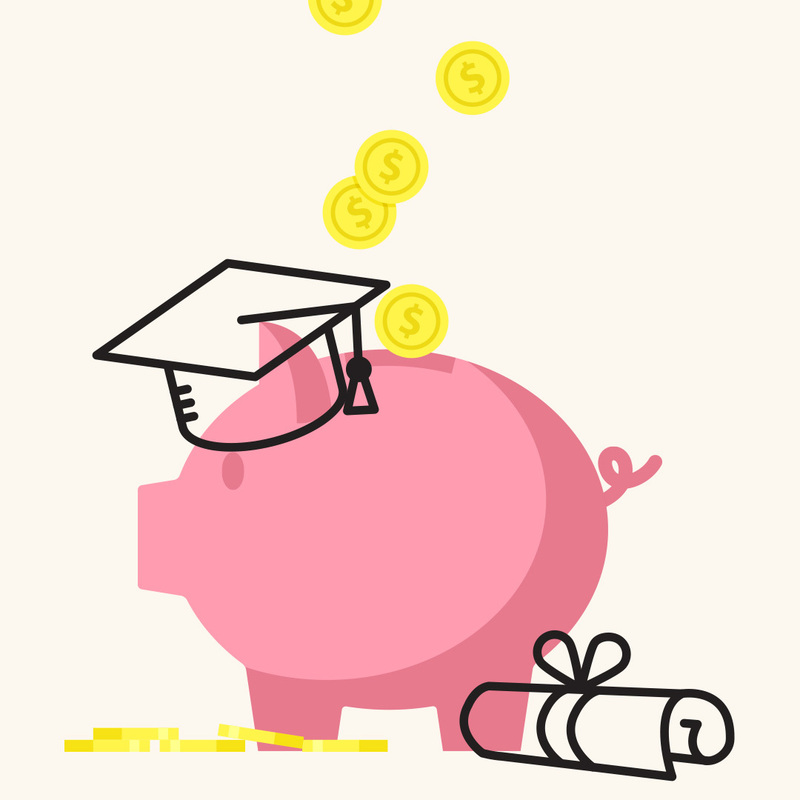 Start thinking now about what classes your child will need to up her chances of going to college, as well as how you’re going to pay for it when the time comes. This month (August 2018) is the perfect time to think about college because Florida Prepaid has launched its Big Dreams Start Early Promotion! When you enroll in a Florida Prepaid College Plan from now through September 2, 2018, they will waive the $50 application fee! Just use the following promo code when you sign up here. I hope these tips are helpful for your family as your children head back to school. By doing a little “homework” beforehand, you’ll better your chances of having a successful school year and a wonderful educational experience in the future. 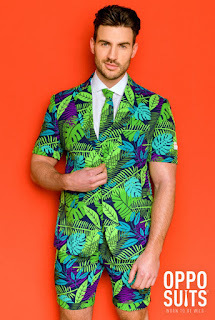 Now, ladies, if you love these suits, never fear: Opposuits has some great patterns for you, too! Check out these fantastic options (and there are many more)! 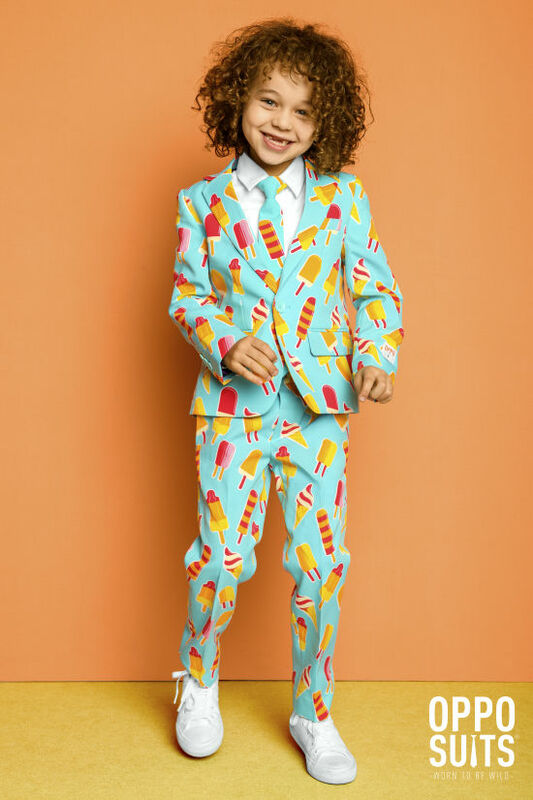 Opposuits are even available for younger and teen boys. I love the styles below. One of my four sons is currently in college, and he is the most adventurous of my boys when it comes to his wardrobe. He was very excited to review the Navy Royale suit shown at top. It even came with the tie! 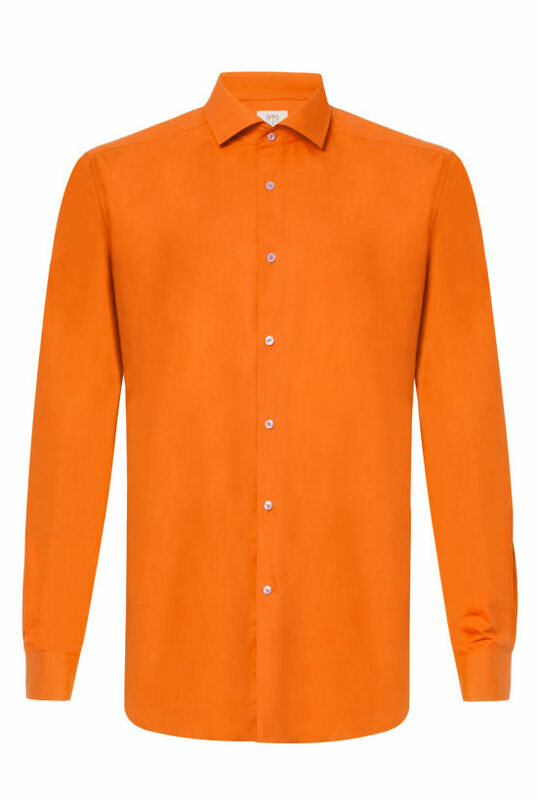 And you can purchase a dress shirt in a bold color to complete the look of the outfit or tone it down a bit with a less flashy shirt of your own. While I was too afraid to spring for any of Opposuits' more eccentric designs, I was surprisingly pleased with the solid color, navy suit I received from them. It came with the jacket, pants, and tie all packaged quite neatly, protecting it from getting wrinkled or stained in the journey. 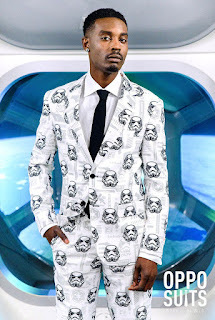 One might think when looking at their site that the suits are meant to be worn once for gimmicky occasions or disposable in some way, but that couldn't be further from the truth. The suits are made from durable material and don't wrinkle easily. I've already worn it out on multiple occasions and have been quite happy with how it has held up. You would be hard-pressed to find a full suit of similar quality for the same price. While I can come up with a couple criticisms, they are extremely minor. The fabric was a little stiffer on its first outing than some suits, but on subsequent occasions it has become quite comfortable. 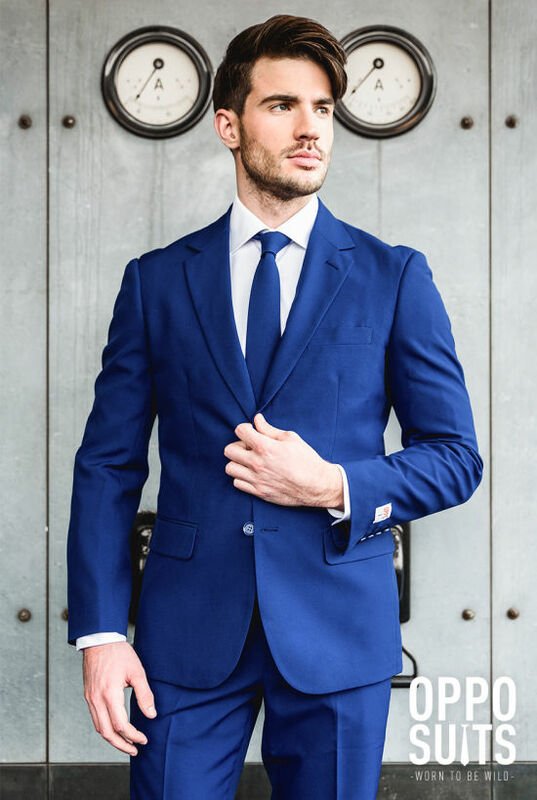 In addition, while they have a full range of sizes on their site, you cannot choose the length of the suit. As someone who wears a 40L, this meant that the sleeves were slightly shorter on me than I would usually purchase. However, most men will not have this issue. Overall, it is obvious that the company takes great care in delivering a quality product for a real bargain of a price. For anyone who wants to add a bit of extra color to their wardrobe, I recommend you try them out. 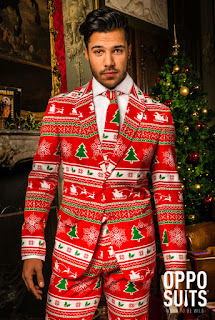 If you or your guy are getting bored of your humdrum wardrobe, I hope you’ll pay a visit to Opposuits.com. As my son mentioned, their prices are very affordable, and they even ship for free in the United States! 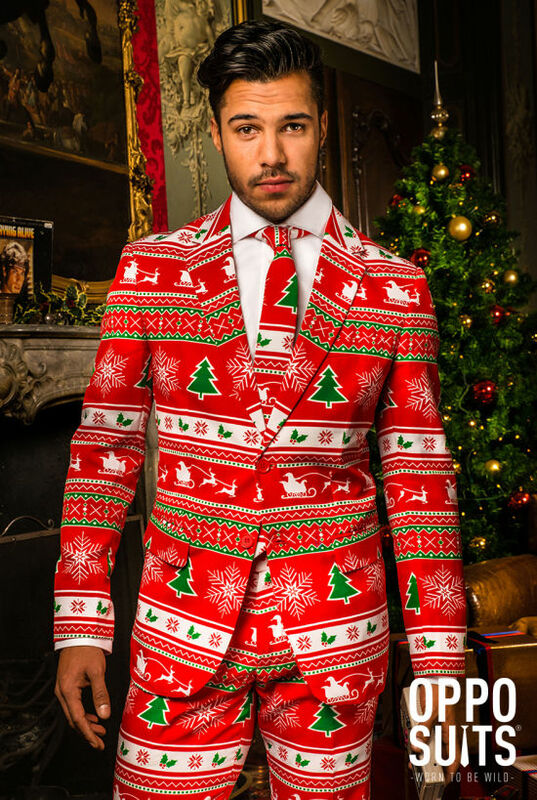 You’ll love the reactions you get when you wear a suit from Opposuits! Disclosure: We received a complimentary product sample to facilitate this review. 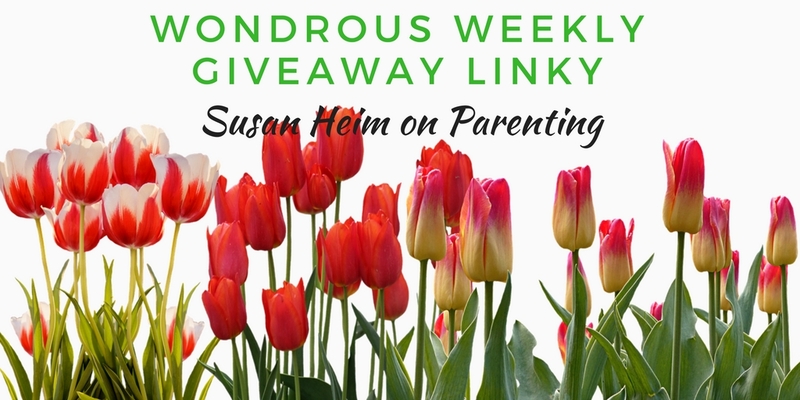 Welcome to another Wondrous Weekly Giveaway Linky! My two youngest sons (twins) started high school this week, and it went well! Their biggest complaint is having to get up an hour earlier since high school starts earlier than middle school. Other than that, everything has gone smoothly. I hope that for those of you who sent kids to school this week that all went well. Let's celebrate the back-to-school season by entering some giveaways! Check out the giveaways in the linky below and on my right sidebar. Come back every day to see what new contests have been added. And feel free to share any giveaways that you're hosting in the linky and tell your social media friends about this page. Publisher: MuseItYA, a division of MuseItUp Publishing. Their middle reader series, Alice and Friends, features Alice, a 10-year-old girl with a vivid imagination that gets her into and out of trouble. The titles are STONE FACES, BROWNSTONE FACES, and SPLOTCH. A Back-to-School Promotion from Florida Prepaid: Enroll in a Plan by September 2 and Waive the Application Fee! The carefree days of June and July have come and gone, and now we’re into August. Here in south Florida where I live, this can be a stressful month. Not only do we enter into the peak of hurricane season, but the kids also head back to school. Now our schedules will be dictated by tests and homework, as well as sports and extracurricular activities. Even though these things bring on a lot of stress, I try to remind myself that they’re also productive and positive. My twins will be learning many new things and getting prepared for college. Fortunately, college is one thing that I don’t stress about because our family bought Florida Prepaid College Plans for all four of our kids! 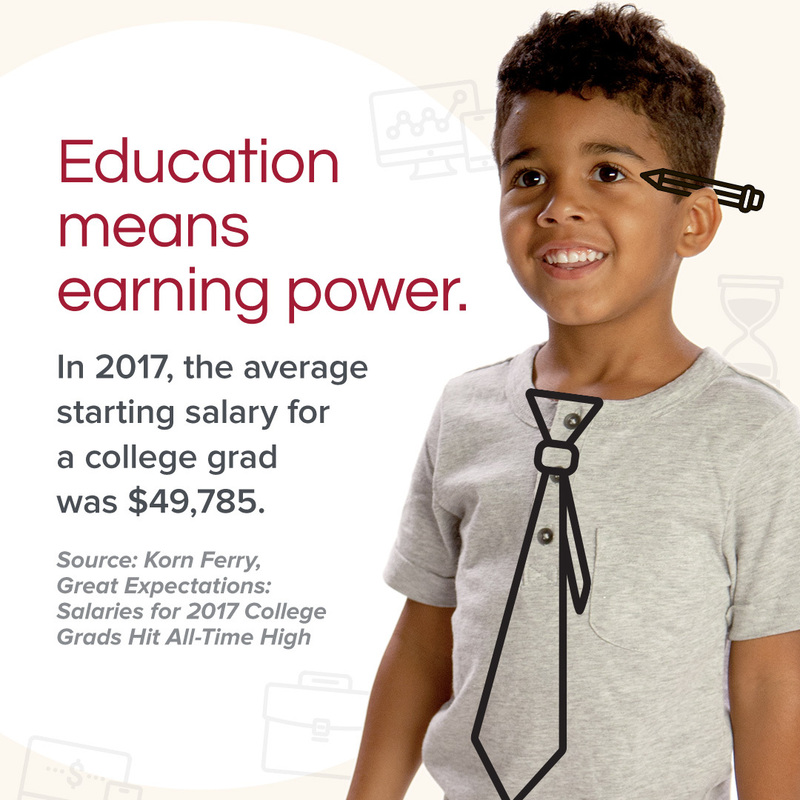 Thanks to this wonderful program, we have one less thing to stress about—how to pay for our children’s future education. If, like me, you have children who will soon be heading back to school, I’m sure you’ve got a lot of items on your back-to-school list, including the purchase of school supplies and clothing, establishing new morning and after-school routines, and much more. But it’s entirely worth the effort to add one more item to your checklist: sign up for a Florida Prepaid plan. It only takes a few minutes of your time, but it has long-lasting benefits for the whole family. 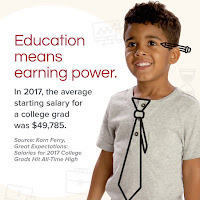 August is also the perfect time to consider your child’s education because Florida Prepaid has established the Big Dreams Start Early Promotion. When you enroll in a Florida Prepaid College Plan from now through September 2, 2018, they will waive the $50 application fee! Just use the following promo code when you sign up here. 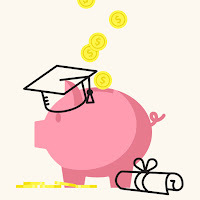 In addition to waiving the application fee, there are even more ways in which a Florida Prepaid College Plan saves you money. 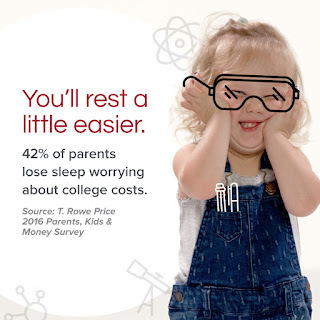 Their plans allow you to lock in tomorrow’s college tuition prices today, so that you don’t have to worry about how much public college or university costs rise in the future, or the ups and downs of the stock market. Florida Prepaid Plans are guaranteed by the state of Florida, and their value can be applied to qualifying institutions nationwide, both public and private. My two oldest children are among the more than 450,000 students who have gone to college using a Florida Prepaid Plan, and my two youngest will join them when they graduate from high school. Thanks to our foresight in purchasing a plan for each of them, they’ll be debt-free when they earn their bachelor’s degree. What a great gift to give your children or grandchildren! 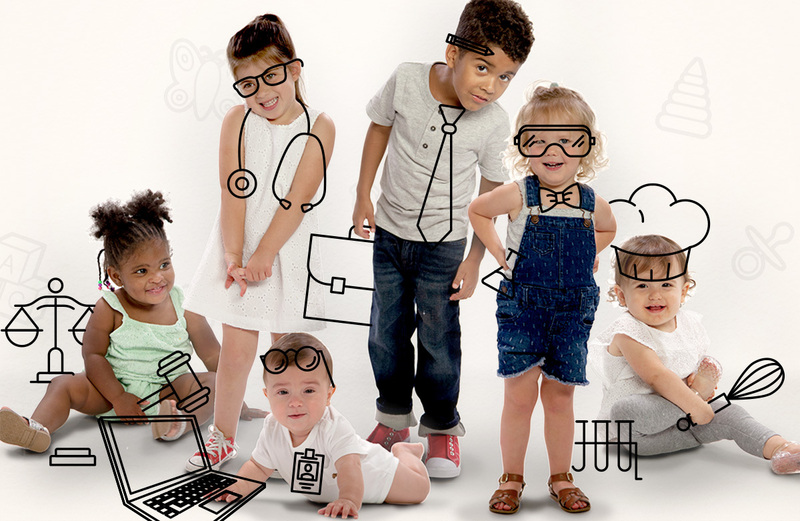 So, while you’re thinking about your children’s current educational needs during this very busy back-to-school season, I hope you’ll also turn your eyes toward the future by taking advantage of Florida Prepaid’s Big Dreams Start Early Promotion. The younger your children are when you sign up, the lower your payments will be. And there are a wide variety of plans to suit every budget. Softsoap’s New Limited Edition Body Washes Smell Like Summer! Awaken your senses with the new limited edition Coastal Sunrise™ moisturizing body wash. Watch the summer season bloom before your eyes, as the invigorated scent of Citrus Blossom surrounds you and the moisturizing formula leaves skin feeling soft and smooth. I love the peppy addition of the citrus fragrance, which makes me feel refreshed and summery! This summer, set sail with the new limited edition Seaside Rush™ moisturizing body wash. Celebrate the warmer weather with the refreshing scents of Lily & Bergamot, which will captivate your senses and leave skin feeling soft and radiant. I love this floral scent. It’s not too heavy, just the perfect amount of fragrance to make me smell like a summer garden without being overpowering. And, of course, my skin always feels smooth and clean after using any Softsoap body wash! I’m a huge fan of Softsoap body washes. I hope you’ll join me in my excitement for these new Limited Edition scents. Head on over to Walmart through September to find these wonderful new body washes from Softsoap at a price that won’t break your budget. Welcome to this week's Wondrous Weekly Giveaway Linky! Summer is nearly over (boo hoo), and the kids are heading back to school! In the hustle-and-bustle of back-to-school shopping, be sure to take some time off to enter some giveaways! I hope you'll join me in checking out the giveaways in the linky below. Come back every day to see what new contests have been added. And feel free to share any giveaways that you're hosting in the linky and tell your social media friends about this page. Welcome to this week's Wondrous Weekly Giveaway Linky! I apologize for the lack of posts on my blog this week. I was on vacation in Fort Myers Beach, Florida. Unfortunately, it will be forever known as the beach vacation when we couldn't go in the water! Red tide (toxic algae) hit the beaches, and it killed off a bunch of fish, crabs and other sea life that all washed up on the shore. It wasn't recommended to go in the water, and it was even tough to breathe during certain times of the day near the beach. I felt sorry for the many hotels and businesses, which lost a lot of money due to red tide. We stayed because we had family meeting us there, but had to find other things to do that didn't involve beach time. Anyway, it will be added to our list of unforgettable vacations! Now that I'm home, it's time to enter some giveaways! I hope you'll join me in checking out the giveaways in the linky below. Come back every day to see what new contests have been added. And feel free to share any giveaways that you're hosting in the linky and tell your social media friends about this page.